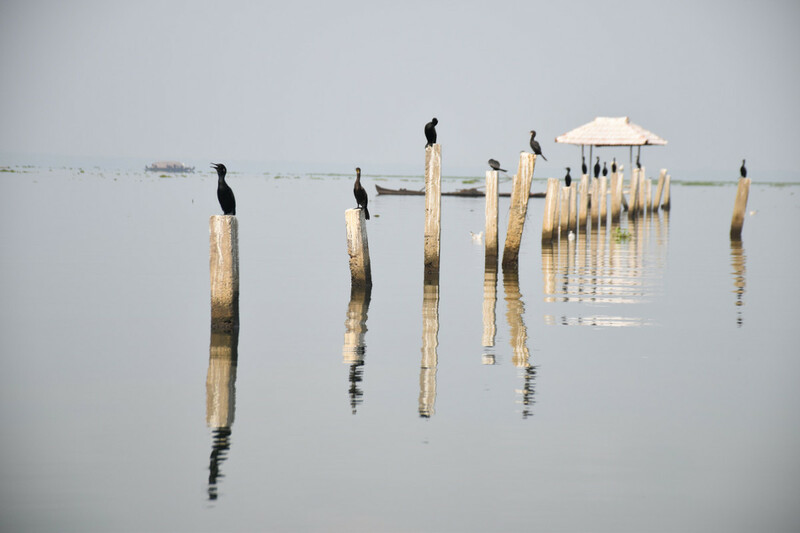 Vembanad Lake – a flat, glassy mirror, extending as far as the eye could see and merging seamlessly into the blue sky. That was the scene on the lake shore in Kerala before breakfast. The serene lake was unlike the choppy waters that we experienced the afternoon before. It begged to be explored. 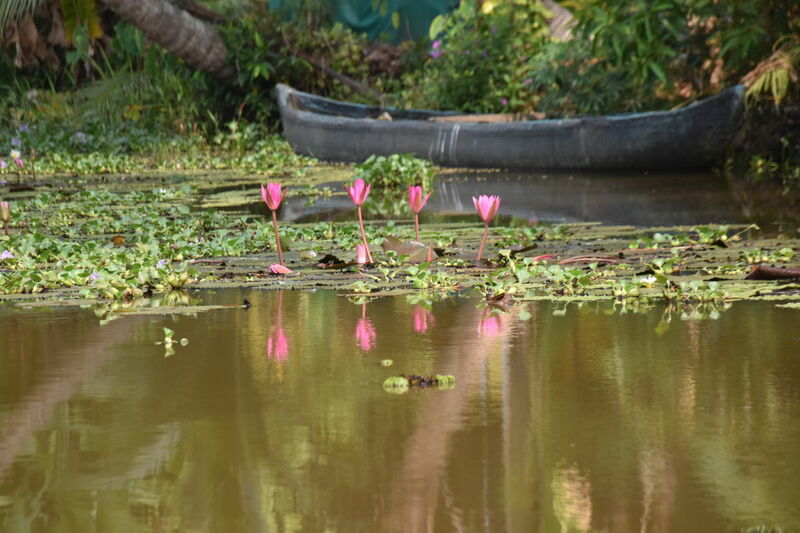 We were in Kumarakom, a small resort town on the edge of Vembanad Lake in Kerala. The lake itself, is the longest in India, and one of India’s largest. At its widest point, it’s 14km to the opposite shore, creating the illusion of being at the sea. With its palm fringed shores and humid climate, it really does feel like an island getaway. 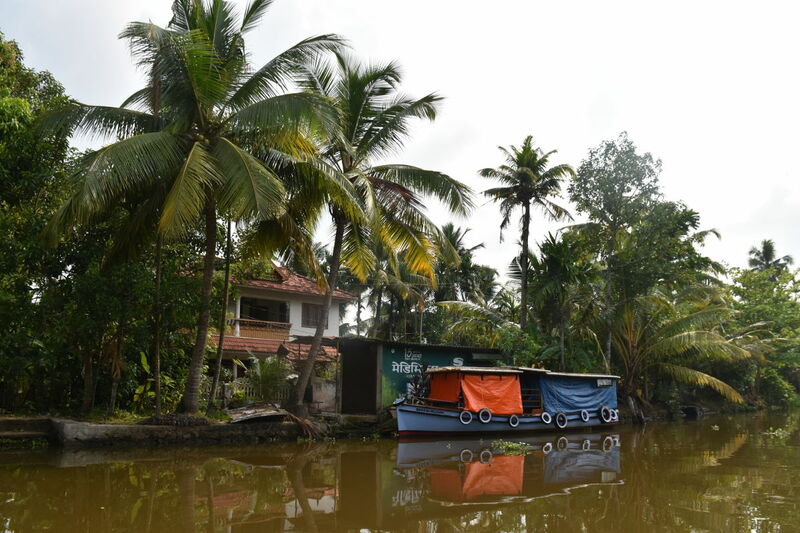 Houseboats and flat canoes ply the waterways. Fishermen cast their nets over the bountiful lake. On the shores, wetlands give way to dense mangrove forests, and are home to a myriad of birds. After a long walk under shaded canopies at Kumarakom Bird Sanctuary, we climbed a watch tower to witness a cacophony of nesting birds. 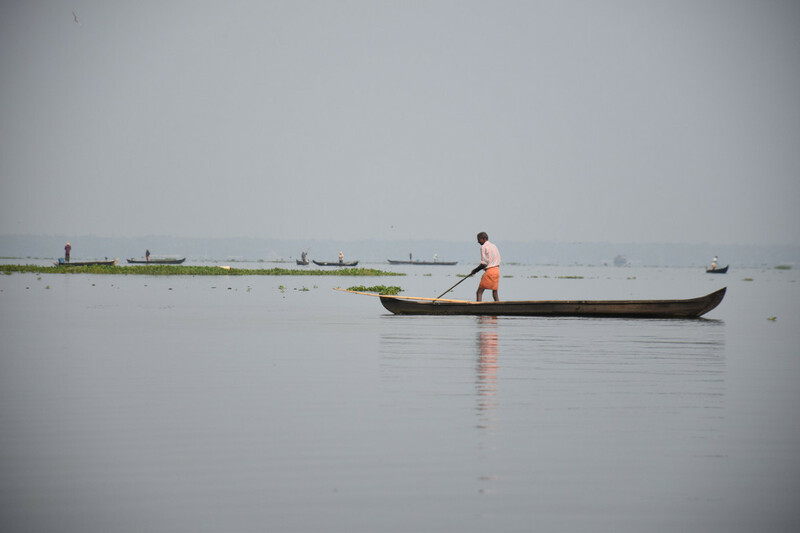 Vembanad Lake is connected to the many backwaters that Kerala is famous for. 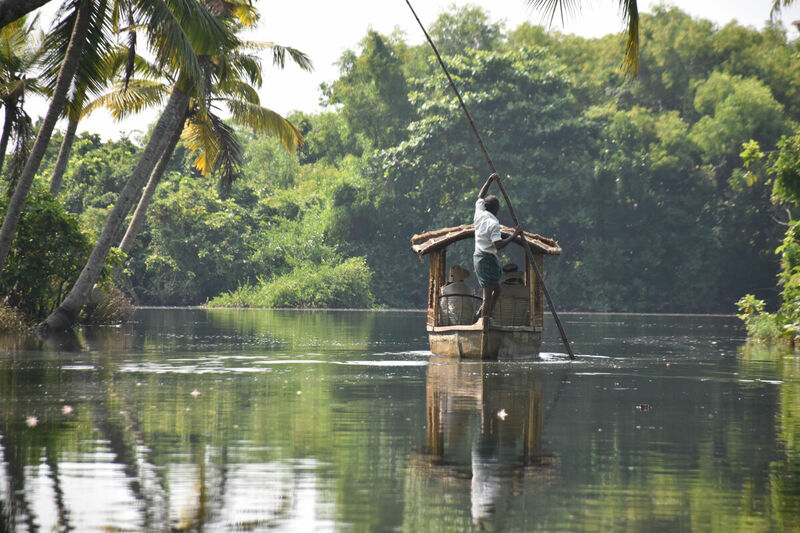 Navigating the channels on a smaller boat, one can witness the everyday life of locals who have made Kerala home. Gliding along, one can get glimpses of their homes, and watch them go about their communal life. 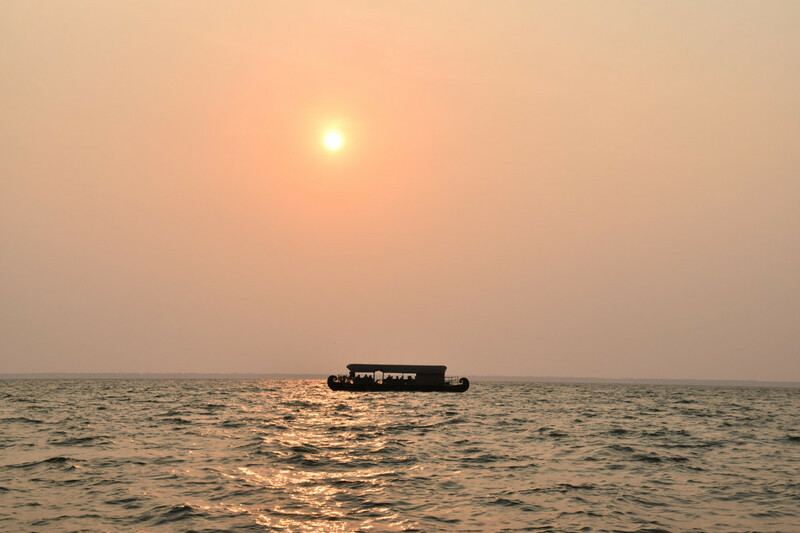 Kumarakom sits on the eastern shores of the Vembanad Lake, giving the opportunity to watch the sun sink into waters each evening. 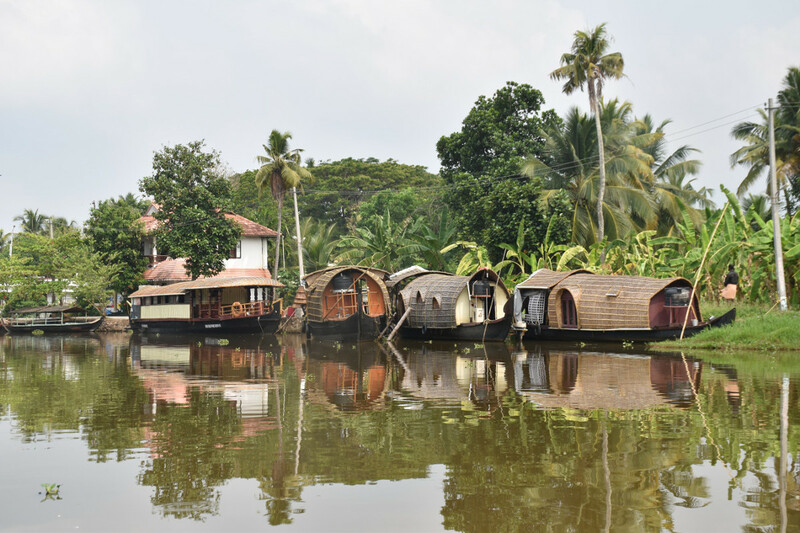 Kerala is captured on the lake and its backwaters, and it is here that one can truly relax. 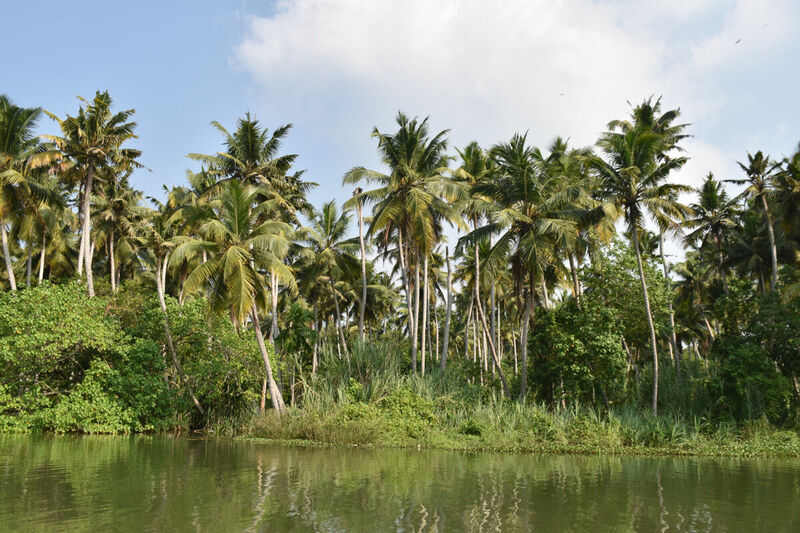 Further south in Kerala, away from the main waterways, we took a relaxing boat trip along the quiet Neyyar River. 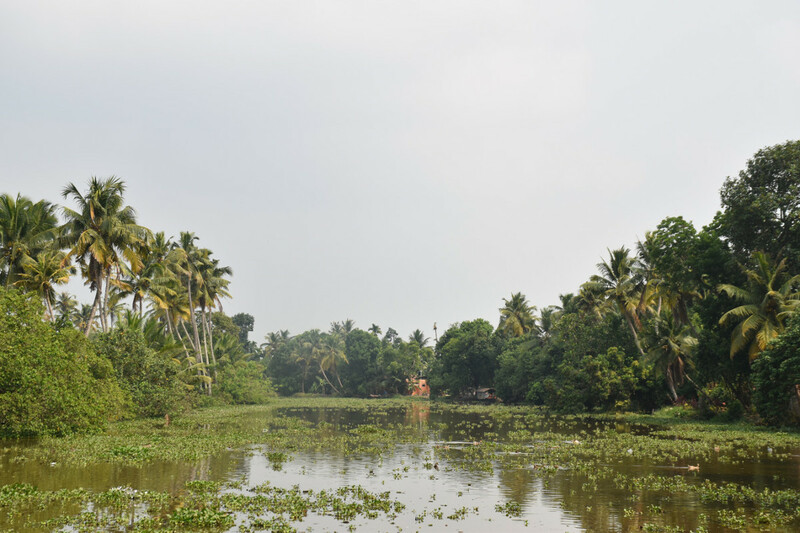 The river ends in a small lake lapping on the golden sands of Poovar Beach. 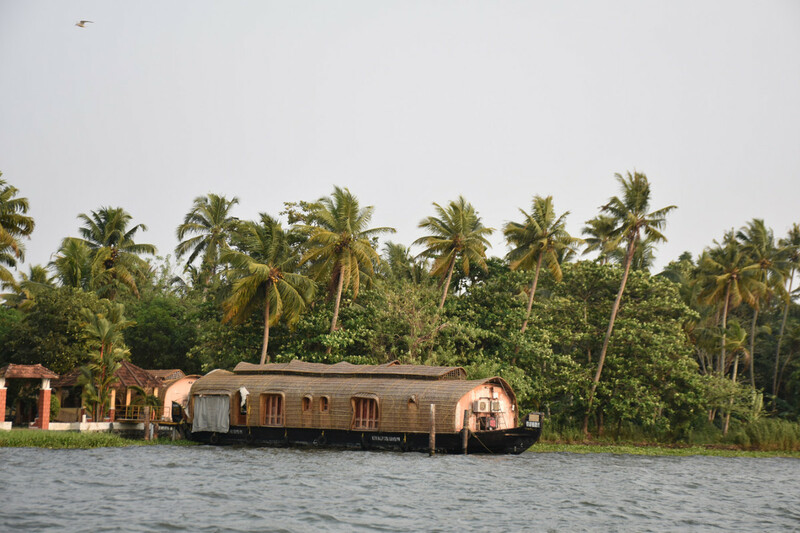 Back on the river, surrounded by palms and lush mangrove trees, we got lost in the serenity of Kerala.